Adding disqus to my poster stack- how? I have the poster stack, how do I enable disqus on my blog page. Yes, sighned up but then there is not a rapidweaver solution. 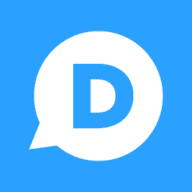 to install disqus to Poster stack, do I need to use the “universal code”. If so, that would be a little beyond my skill level. Sorry, missed your last post; no need to copy code. I Followed your instructions re, installing disqus on the poster stack. Yet, is not showing the comments section. Where should I look to confirm installation? Do I need to leave/allow space for the install of comments, or does poster do this for me? Am very new and just followed your instructions, my disquis user name is added as is poster item, for disquis comments. Have you published the site to the web? It might not sure on local RW preview. Do you have a link to your live site with Poster Stack?